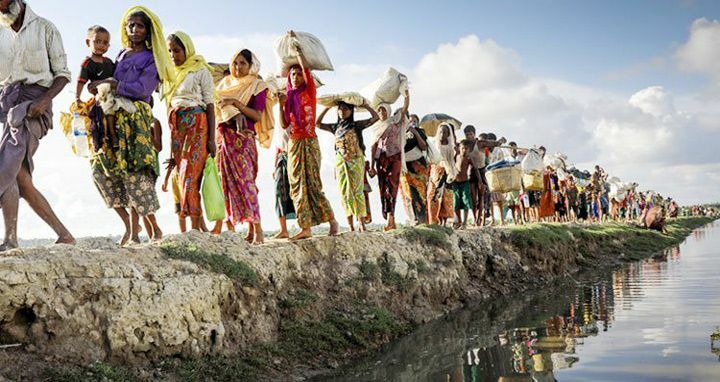 Dhaka, 21 April, Abnews: The Commonwealth on Friday called for a halt to all violence, restoration of normality and accountability of the perpetrators for gross violations of human rights in northern Rakhaine state of Myanmar through an independent investigation. The 53-nation grouping made the call in a joint communiqué‚ adopted unanimously on the concluding day of the 25th Commonwealth Heads of Government Meeting (CHOGM) that ended here this afternoon. According to the joint communiqué‚ the member states called for sustainable return of all displaced Rohingyas sheltered in Bangladesh to their rightful homes in Myanmar under UNHCR oversight. Besides, the leaders of the member states called for creation of necessary conditions for sustainable return in safety, security and dignity. Praising the role of Bangladesh on the Rohingya issue, the Commonwealth leaders expressed full solidarity with the government and the people of Bangladesh affected by the influx of Rohingyas, the joint communiqué‚ added. It said the Commonwealth leaders commended Bangladesh and Prime Minister Sheikh Hasina for providing shelter to the distressed humanity facing an existential threat. The heads of the government also stressed actions to address the root causes of the current crisis including through immediate implementation of the Kofi Annan Commission recommendation. Opposing use of chemical weapons under any circumstances, the communiqué‚ said, the heads of the member states expressed commitment to strengthening the effective implementation of the chemical weapons convention. The heads of the government also condemned violent extremism in all its forms, expressed their continued support of the UN Secretary General's Plan of Action to prevent violent extremism. Foreign Secretary Md Shahidul Haque told reporters on Thursday that in the executive sessions of the CHOGM, Prime Minister Sheikh Hasina raised the Rohingya issue and reiterated her five-point proposals which she placed at the UNGA last September to solve the crisis. Sheikh Hasina, he said, also renewed her call to the international community to put more pressure on the Myanmar government for quick repatriation of the Myanmar nationals with full security and dignity.